+What's the first step in getting dentures? We suggest that you come in for a free consultation before getting any teeth pulled or getting confused about how many types of dentures there are. Our experienced team will go over which treatment plans will work for your individual needs. Frequently patients self-diagnose, wondering whether their teeth need to be pulled, or whether their loose-fitting denture need replacing. By coming in for a free consultation, we can assess your oral situation and provide a list of treatment plan options specific to your needs. The free consultation provides you with the opportunity to gain a clear understanding of what your needs will be as well as the different costs involved with each treatment. +What are the different types of dentures? +What happens at the free consultation appointment? At the consultation appointment, a Saberton Denture & Implant denturist and staff member examine the existing state of the mouth and then discuss which treatment plan best suits each patient’s health and financial needs. This may include a referral to get teeth extracted, dental implants, or simply determining which type of denture is ideal for each individual. The consultation appointment is also when estimates are sent to dental insurance to determine coverage. 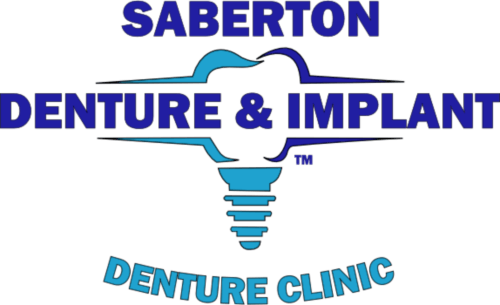 At Saberton Denture & Implant, our primary goal is to provide treatment plans that are affordable and straightforward so that our patients are highly satisfied with their final denture, and there is a clear understanding as to the treatment plan process as well as all potential costs. +How long does it take to get dentures? Placement of the final denture. Each appointment takes about 15 to 30 minutes. We typically book each of the denture steps once every week or two, so the whole process can take anywhere for 5 to 8 weeks. However, every patient's needs are different and additional needs such as extractions or implants can delay the treatment time. +Is getting dentures pain free? Generally, yes. Unless there are teeth to get extracted or implants to be placed, the denture making process involves only taking impressions of the mouth and measuring how the denture will seat properly against the gums. Getting new dentures should be pain free! Making impressions and measuring isn’t invasive beyond the uncomfortable feeling of having the impressions taken. Because we create so many new dentures every day, our denturists take impressions using less material and keep the impression material in the mouth for as short a time as possible. 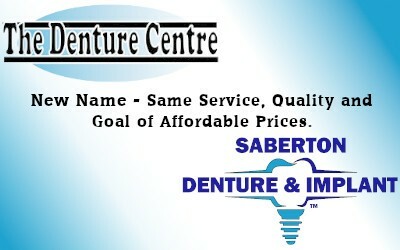 Saberton Denture & Implant (previously known as The Denture Centre Ontario) offers complete dentures or partial dentures from $499 per denture. There is no tax on dentures, and the consultation is free! 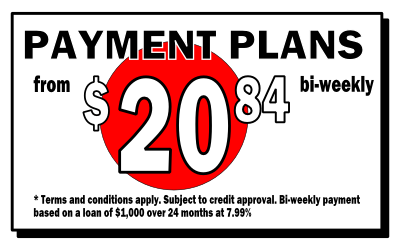 These prices include all appointments, materials, and adjustments for up to 90 days. 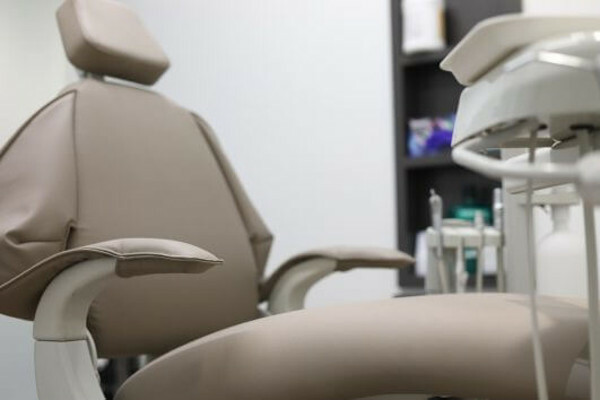 There are no additional fees other than for such services as partial metal framework, denture implants, or if the denture is being made to be inserted immediately after tooth extraction. There are a number of different ways to have teeth pulled and dentures placed. It’s best to call for a free consultation so that we can explain the benefits, risks, and costs involved in each treatment. We recommend that you have your denture consultation prior to booking any extraction appointment so that there is complete understanding regarding the extraction/denture process. 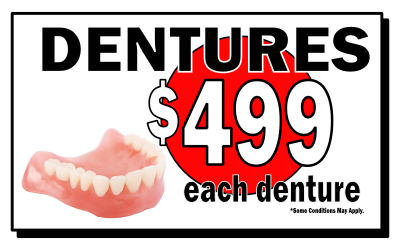 +Are there other denture prices available as well? Yes! Not everyone is looking for the cheapest, most affordable option. We offer two other higher quality dentures that involve harder pink denture base acrylic, as well as stronger and more natural looking denture teeth. While being higher quality, these dentures are also created with affordability in mind, ranging in price from $749 to $999 each denture. There is no tax, and consultations are absolutely free. +What's the difference between the terms complete denture and full denture? Nothing! They all describe the prosthetic that fits on one of the jaws should all remaining teeth be missing (pulled). +Are the terms false teeth, denture, and plate the same? Yes! Because dentures have been around since 700 BC and are used around the world, they have developed more than one name to describe them. 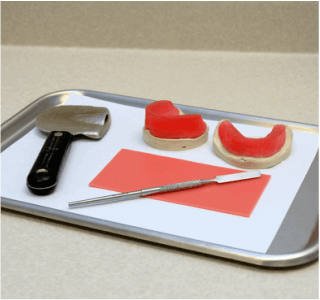 Plate and denture are the two most popular.